Nicole Scherzinger was in attendance at the Unicef Summer Gala on Friday (August 10) in Porto Cervo, Italy. She wore a red Jessica Choay design styled with Chopard’s Haute Joaillerie jewels. 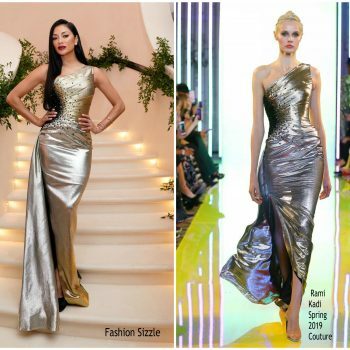 Nicole Scherzinger attended the amfAR Gala during the 71st Cannes Film Festival She wore a strapless raspberry red, tulle gown embroidered with sequins, crystals, and beads from GEORGES HOBEIKA’s Haute Couture Spring Summer 2018 collection. Nicole Scherzinger was in in attendance at the premiere of ‘Blackkklansman’ during Cannes Film Festival this evening (May 14). 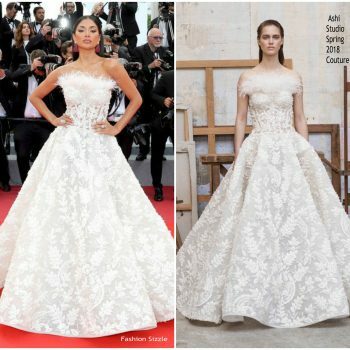 She wore a white ASHI Studio Spring 2018 Couture white embroidered gown. Nicole Scherzinger was photographed on the set of The X Factor TV Show where she is a judge. 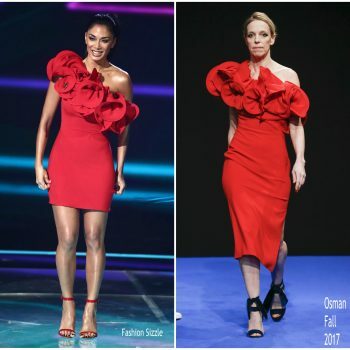 She is wearing a red Osman Fall 2017 ruffled mini dress. Nicole Scherzinger wears a Philipp Plein black leather jacket with grommets paired with black studded leather pants while out and about in Los Angeles. 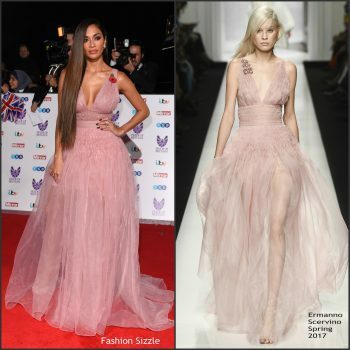 X Factor judge Nicole Scherzinger attends the Pride of Britain Awards, London, 31 October She is wearing a pink Ermanno Scervino Spring 2017 dress that has a V neckline. Nicole Scherzinger was photographed at the X Factor Auditions which was held at General Entertainment in Dublin, Ireland on July 1, 2016.